Toronto wanted an even playing field and it got one. Today, the city’s proposed bylaw for regulating the ‘vehicle-for-hire industry’ was released, and outlines the specific intention to make each industry as competitive as possible. 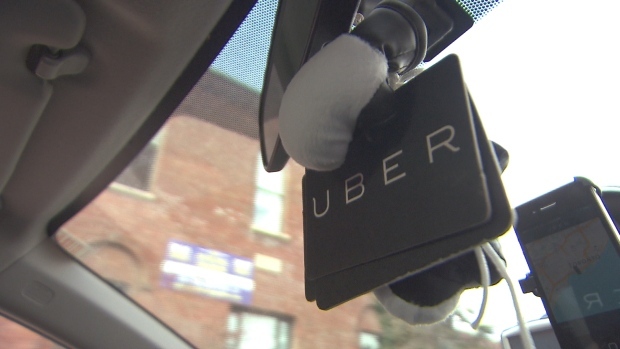 After 18 months of protesting, a lengthy report compiled by the Municipal Licensing and Standards committee “proposes a reset of the city’s approach to regulation.” The proposed bylaw outlines several equalizing provisions to ensure the survival of both the taxicab industry, and ‘private transportation companies’ (or PTC) such as UberX. In a statement released by Mayor John Tory today, he states, “for years, Toronto has needed to modernize the regulation of its ground transportation industry,” which is exactly what this suggested bylaw attempts to do. Whether it will be successful is yet to be seen. Firstly, the report recommends City Council replace existing taxicab and limousine driver license classes and create a combined Vehicle-for-Hire bylaw that governs taxicabs, limousines and PTCs. One of these includes ensuring accessibility services in both vehicle-for-hire and private transportation services. The number of accessible cabs will increase to 25 percent of the total fleet, and licensing renewal and application fees will be waived for accessible cabs. PTCs with more than 500 vehicles registered to it must provide accessible services. Furthermore, the city will continue limiting the number of taxicab licenses issues per year, but, significantly, will not impose a limit on PTC and Limousine driving licenses. The report also suggests that Uber, taxicabs and limousines must hold at least $2 million of liability coverage and states that all drivers of vehicle-for-hire services must complete a training program. In addition to the deregulation of taxicabs, Uber will likely be forced to operate under the stricter restrictions, including the implementation of a PTC licensing requirement for any company operating in the city. The committee recommends imposing a non-refundable $20 thousand application fee on all PTCs and a licensing fee of $10 per driver. PTCs must also provide passengers with the driver’s first name, the driver’s license plate number and the driver photo, upon request. Some of these regulations speak to suggestions made by a research study issued by the MaRs Discovery District last week in collaboration with the City of Toronto and the province of Ontario. The report, entitled “Shifting Perspectives” was intended to assist Canadian governing bodies in regulating the sharing economy. Some key points from that study included a requirement of insurance for every form of transportation to ensure public safety and creating an environment where both VFHs and PTCs to operate in a competitive market. He went on to say that in failing to properly regulate the sharing economy, the city could create more conflict than it avoids. John Tory’s states in the statement released this morning that these new regulations will “create a level playing field,” while providing safe, accountable service to anyone who chooses to use either service. The recommendations made by the city were applauded by the MaRs Solutions lab in a statement released today that named Toronto as a proactive actor in improving mobility the city. The report will be reviewed by the Licensing and Standards Committee on April 14 and will be considered by City Council on May 3.